Superfood, pure and simple. Navitas Naturals produces nutrient rich whole foods that have been used for centuries. Product was received for review purposes and this post may contain affiliate links. 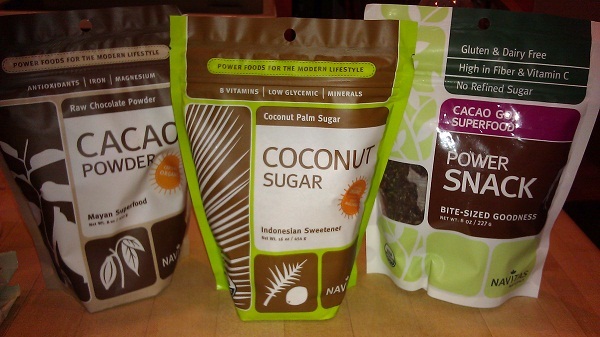 For review, I received raw Cacao Powder, Coconut Sugar and bite-sized Cacao Goji Superfood power snacks. Navitas Naturals Raw Cacao Powder: This has excellent flavor and can be added to just about anything. I make Healthy Pudding with it, put it in my smoothies, coffee and any recipe that calls for a chocolate flavor. This product is certified organic, kosher, vegan, raw and is considered a Mayan Superfood. It’s rich in antioxidants, iron, fiber and magnesium. With only 5 net carbs and no sugar, this is a great way to give a chocolate flavor without the added sugar. 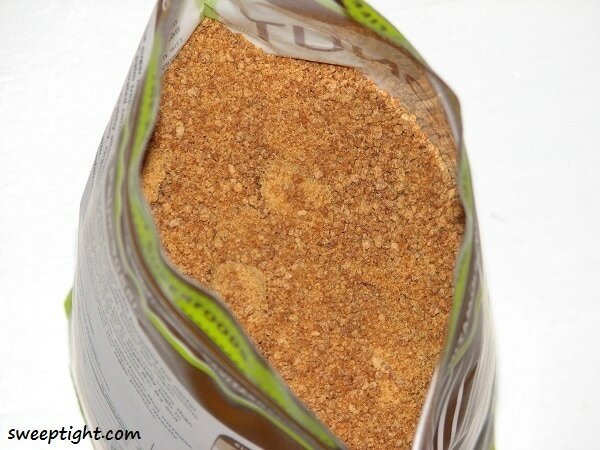 Navitas Naturals Coconut Palm Sugar: I absolutely love this in my coffee! I noticed shortly after drinking my coffee in the morning (I used to load it with super sweet flavored nondairy creamers) that I would get really shaky and crave sweets way before lunch time. I realized that I was starting my day with a sugar high and that made my body crave sugar all day long to maintain that high. I sound like a drug addict. Well, in truth, it’s no different. So, I’ve ditched all refined sugars and gone on the hunt for healthy replacements. I like the natural stuff because it doesn’t give me a headache like some “fake” sweeteners. Coconut Palm Sugar is a fabulous alternative that has a lower glycemic index than cane sugar, agave or honey. It’s especially high in potassium, magnesium and zinc, as well as vitamins B2, B3, and B6. My latest creation, Super-Coffee, consists of: 2 cups black coffee (hot or cold), 1 tsp Raw Cacao Powder, 1 tsp coconut sugar, 1/4 tsp Maca powder* and a splash of unsweetened almond milk. It’s sweet and earthy and absolutely delicious! I have energy that lasts the WHOLE DAY! *Navitas Naturals also carries a Maca Powder that I had purchased a while ago. This stuff was given to Incan warriors to boost their stamina and energy! Cacao Goji Superfood Power Snacks: These bad boys are gluten and dairy free, high in fiber and vitamin C, and have no refined sugar! I love them because they are so convenient. I can grab them for school, work and stick them in the kids’ lunches. You have very nice and interesting giveaways. Thanks!